We believe in the strength of diversity. This is why our mission is to create a community comprised of people from different backgrounds, cultures, skills and experiences. Our coworking community attracts a diverse crowd of local entrepreneurs and freelancers, Berliners and internationals, who share a common goal: improve the lives of others. 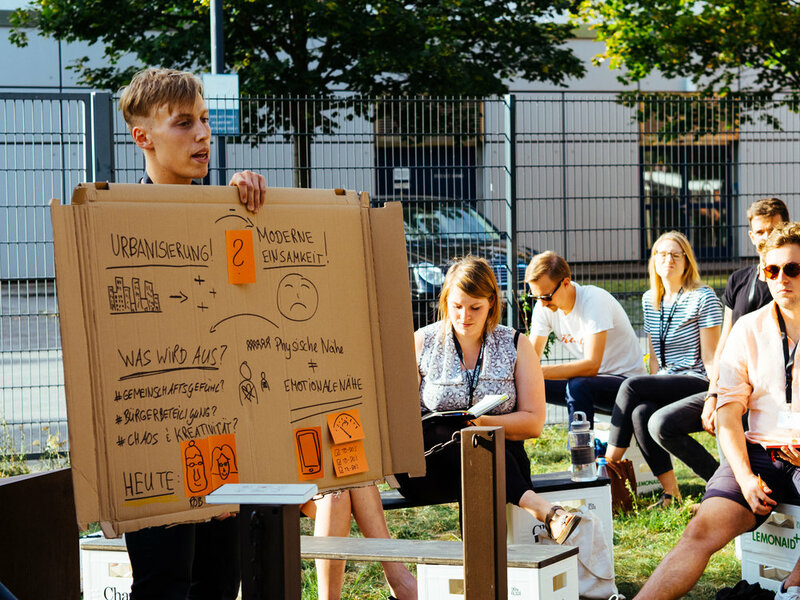 By being a part of our space, you’re contributing to building a tighter, stronger community in Berlin Prenzlauer Berg. You’re in business. You’ll have full access to our Coworking space from 9am to 6pm. As a regular, you’ll no doubt have your favorite chair, favorite coffee mug, and favorite time to take a nap. You will play a big role in our evolution as a coworking space. A jumpstart to get you, and your business, up-and-rolling. As a frequent coworker, you’ll enjoy having a dedicated place to get work done when you need it. Coworking by day, events and workshops by night (and weekends). Our 80 sqm coworking space is no doubt versatile, and includes all of the amenities you need to feel comfortable and stay productive. With the ability to rearrange the entire space within minutes, accommodating to any occasion couldn’t be easier. Whether it’s organizing for a large presentation or small meeting, testing a new product or pitching to an investor. It’s your space. Anything is possible. Our industrial design is a blank canvas of concrete, ready to be worked and reworked by the minds of our community. The evolution of the interior will reflect the character, ideas and (certainly after a few drinks) the dexterity of our members. We work hard, play hard, and get together to exchange and learn. Whether this takes the form of an organized workshop, or an impromptu beer and chat, we encourage a healthy work-life balance. From Mexican taco Thursday to Artificial Intelligence Tuesday, our members are encouraged to take the reins and create fun and interesting events for the community. Whether it’s a passion you’ve always wanted to share, or a topic that you find relevant, we will accommodate to whatever your mind thinks up. Just do it! How does one go about creating change? By taking the first step. The most logical (and literal) first step you can take is outside of the Happy Pigeons coworking and into the neighborhood. Prenzlauer Berg is one of Berlin’s most diverse neighborhoods, making it an ideal tes ground for ideas, projects, and of course, feedback. If you can make it here, you might be on to something!